A time of terrible danger. The Great Fire has ravaged London. Now, guided by the Fire Court, the city is rebuilding, but times are volatile and danger is only ever a heartbeat away. Two mysterious deaths. 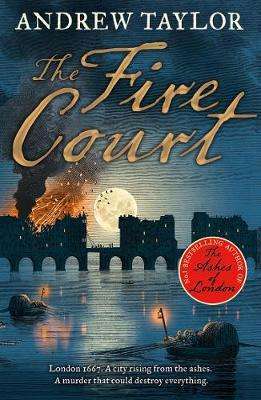 James Marwood, a traitor’s son, is thrust into this treacherous environment when his father discovers a dead woman in the very place where the Fire Court sits. The next day his father is run down. Accident? Or another murder…? A race to stop a murderer. Determined to uncover the truth, Marwood turns to the one person he can trust – Cat Lovett, the daughter of a despised regicide. Then comes a third death… and Marwood and Cat are forced to confront a vicious killer who threatens the future of the city itself.